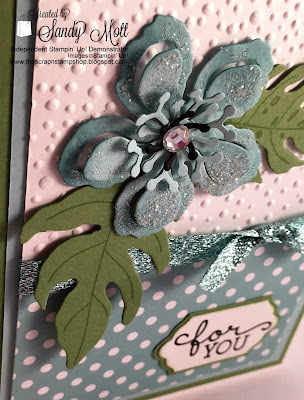 The "Botanical Blooms" stamp set and the coordinating Botanical Builder Framelit Dies are simply wonderful. While I love the traditional botanical colors (dark greens, deep yellows, and rusts), I wanted to lighten it up just in time for Spring. So I used Pool Party. Why, you say? The answer is simply because I can. 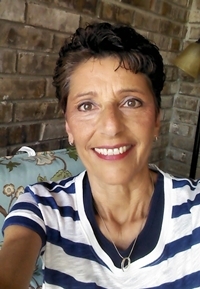 That's the great thing about Stampin' Up! The papers, stamps, and coordinating dies make selecting any color you want a piece of cake. 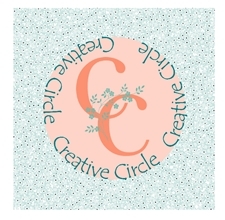 I love the new Pool Party Glitter Ribbon and actually made this card to match the ribbon. The biggest surprise was when I added Dazzling Diamonds glitter to the flower. Wow! The flower ended up matching the ribbon perfectly. There's a lot of dimension to this card. The "Softly Falling" embossing folder, the Botanical Builder die, the stamen, the Dazzling Diamonds, and the glitter ribbon all make this card pop. 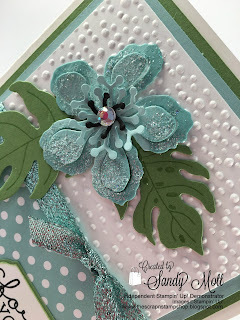 The sentiment is from the stamp set "Birthday Blooms". My Club members will be making this card in a few weeks. I hope they will enjoy making it as much as I did. 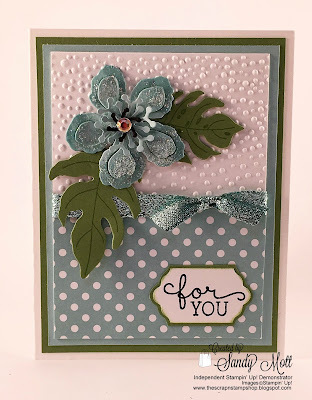 See below for a complete list of supplies used to make this card. Stay tuned for sneak peeks of the new Sale-A-Bration items available in a few weeks and a special gift from me when you place an order at my online store.